Carpentry - Shanti Leprahilfe Dortmund e.V. Barad (with the red cap) and Isaak are two of the four Shanti carpenters. 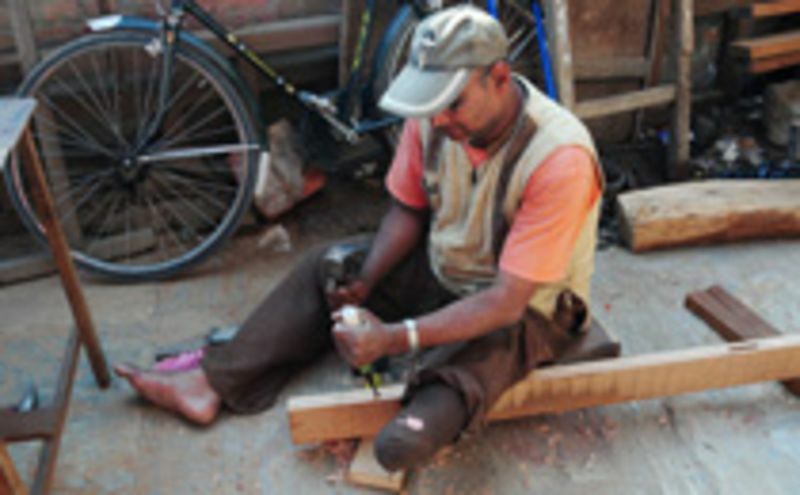 Both suffer from leprosy, but can still do fine carpentry work despite contorted fingers. Due to leprosy, Barad has already had to have his left leg amputated below the knee. Isaak's hands are also scarred by leprosy as well. 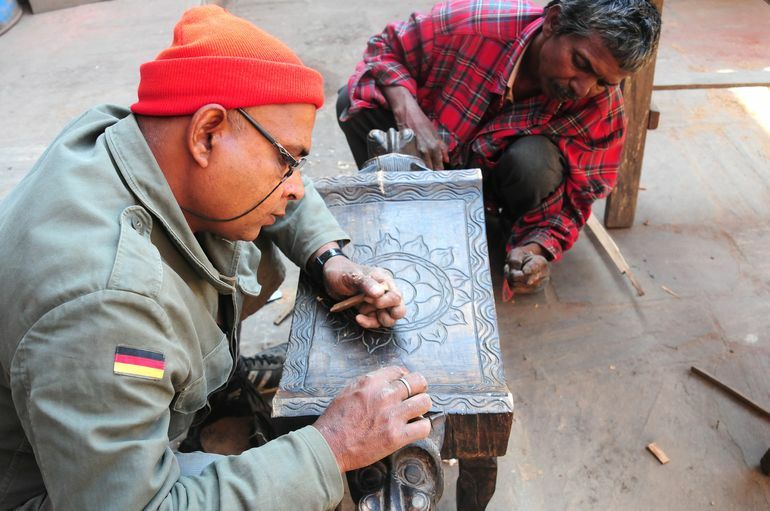 Four carpenters are employed at Shanti – and they have plenty to do! There is always something to build or repair: cabinets, tables, stools, desks, window frames, doors, etc. For years, Marianne Großpietsch has collected old, artistically carved wooden doors and door frames from South Nepalese farmhouses. They are restored and then build into various areas of the Shanti buildings, where they hold a new place of honour. Carved banisters become tables, which give every room a special atmosphere. Recently, they began making stools out of waste wood! They are then fitted with seat cushions made from woven strips of old tyre inner tubes – Marianne's newest recycling idea! The stools are very sturdy, are very durable and are extremely affordable: 1 tyre inner tube costs € 2.50 and suffices for three stools.